Reprint. Published in Scotland. Originally published: 2018. Edinburgh, 1847. Will Raven is a medical student, apprenticing for the brilliant and renowned Dr Simpson. Sarah Fisher is Simpson's housemaid, and has all of Raven's intelligence but none of his privileges. 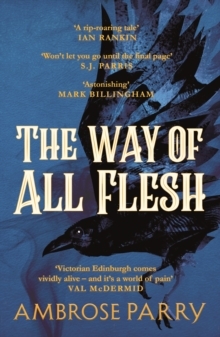 As bodies begin to appear across the Old Town, Raven and Sarah find themselves propelled headlong into the darkest shadows of Edinburgh's underworld. And if either of them are to make it out alive, they will have to work together to find out who's responsible for the gruesome deaths.